ABBOTT, Liberty C., died 8-9-1894 - Civil War Vet, Co E 5th Cav NYS Vols, Maj. Discharged July 19, 1865. ABERS, Emma H. Spouse of Charles G. Born 12-11-1908, died 10-15-1997. Age: 88 - Dau of Carl and Emma (Badke) Heilman, born in Konin Poland. AKINS, Charles, died 3-19-1898 - Cicil War Vet, Co A 112th NYS Vols. Mustered out with company June 13, 1865. ANDREWS, Orrin, died 5-4-1883 - Civil War Vet, Co A 23rd NYS Vols. Discharged July 26, 1863. BALDWIN, Ebenezer, died 6-4-1867 - Civil War Vet, Co G 49th Inf NYS Vols. Discharged April 29, 1862. BALDWIN, William, died 9-16-1878 - Civil War Vet, Co G 9th Cav NYS Vols. Mustered out with company June 6, 1865. BAXTER, Leroy, died 11-19-1865 - Civil War Vet, Co C 9th Cav NYS Vols. Wounded at Winchester, VA Sept. 19, 1864. Mustered out with company July 17, 1865. BILLINGS, Oscar D. Spouse of Juna T. Born 1841, died 9-22-1918. Age: 77 - Civil War Vet, Co A 56th PA Vols. Discharged Aug. 8, 1863. BUSH, Albert, died 4-14-1883 - Civil War Vet, Co A 90th Inf NYS Vols. Wounded at Cedar Creek, VA Oct.19, 1864. Mustered out with company July 10, 1865. CAMPBELL, Levi, died 8-15-1904 - Civil War Vet, Co D 76th NYS Vols. Wounded at the Wilderness May 6, 1864. Mustered out with company June 21, 1865. CHENEY, Newel, died 12-8-1915 - Civil War Vet, Co C 9th Cav NYS Vols, Capt. Discharged Oct. 25, 1864. CLARK, James, died 11-23-1861 - Civil War Vet DNB, Co F 74th Inf NYS Vols. Enlisted Aug. 1, 1861. Accidently killed in Camp near Washington DC Nov. 23, 1861. COBB, Richmond Clark. Born 2-27-1910, died 8-13-1951. Age: 41 - Son of Oren and Mary (Hopkins) Cobb. Died of shock and drowning. CRANDALL, Kathleen Z, died 10-26-1974. Age: 76 - Died Dade City FL. CROSBY, Henry B., died 11-3-1919 - Civil War Vet, Co C 9th Cav NYS Vols. Mustered out June 1, 1865. CUMMINGS, Orrin A., died 6-10-1879 - Civil War Vet, Co G 9th Cav NYS Vols. Mustered out June 6, 1865. DAVIS, James F, died 3-15-1913 - Civil War Vet, Co G 49th Inf NYS Vols. Woundedat the battle of the Wilderness May 6, 1864. Mustered out July 11, 1865. ECCLES, Josiah B, died 11-7-1912 - Civil War Vet, Co C 9th Cav NYS Vols. Mustered out June 1, 1865. EMERSON, Lucille I. (Hebner). Spouse of Linnie M. Born 10-23-1923, died 3-14-2017. Age: 93 - Dau of Charles and Irene (Pollard) Hebner. Born and died in Jamestown NY, lived in Kennedy NY. A homemaker. Wed 12-20-1942, two children. FAIRBANKS, Leland, died 11-25-1884 - Civil War Vet, Co E 9th Cav NYS Vols. Discharged Oct. 18, 1862. FRICKER, Emma Jean (Spaulding). Spouse of Robert H. Born 12-5-1916, died 8-21-1960. 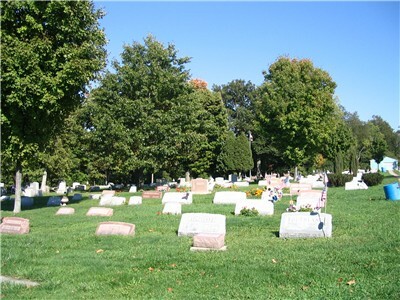 Age: 43y 8m - Dau of Frank E. and Sarah Melissa (Oaks) Spauding. Born in Salamanca NY, died in auto accident in Jamestown NY, broken neck. Six children. FRICKER, Robert H. Spouse of Emma Jean. Born 7-22-1911, died 8-21-1960. Age: 50 - Born in Massilon OH, died in auto accident in Jamestown NY, Five children. HARRIS, Alonzo D, died 24-Apr-10 - Civil War Vet, Co G 49th NYS Vols. Wounded in battle of the Wilderness May 6, 1864, Discharged May 26, 1865. HOLMBURG, Maxine M. (Huckelbery). Spouse of Arnold C., died 12-24-2015. Age: 76 - Dau of Amos J. and Virginia (Bates) Huckelbery, born in Kennedy NY, died in Falconer NY. Four children, all surnamed Steppe. Wed Arnold 6-25-1988, in Falconer NY, he d. 11-20-2013. HUCKELBERY, James B. Spouse of Violet J. Koresko. Born 9-25-1931, died 3-26-2017. Age: 85 - Son of Amos J. and Virginia (Bates) Huckelbery. Born and lived in Jamestown NY, died in Erie PA. Worked for Jamestown Board of Public Utilities. Wed 8-23-1952 in Kennedy NY, four children. - Korean War Vet US Army. 1952-1954. HUCKELBERY, Jessie Jay. Spouse of Allie B. Born 6-18-1882, died 3-15-1962. Age: 79y 8m - Son of Frank and May Huckelbery. HUCKELBERY, Violet J. (Koresko). Spouse of James B. Born 7-25-1935, died 1-11-2012. Age: 76 - Dau of Stephen and Julia (Madaras) Koresko. Born, lived, and died in Jamestown NY. Wed 8-23-1952 in Kennedy NY, four children. HUNT, Edwin R., died 9-27-1883 - Civil War Vet, Co B 12th Cav PA Vols. Discharged Jan. 12, 1864. IRELAND, N. S., died 5-17-1888 - Civil War Vet, Co A 112th Inf NYS Vols. Discharged Dec. 27, 1863. KIMBALL, Jennie A. Spouse of Ezra T. Born 1864, died 11-23-1942. Age: 79y 1m - Died Gowanda State Hosp. KING, Glenn R. Spouse of Berdina. Born 1888, died 19?? LUCE, Michael Alan. Spouse of Marlene Kote, died 3-26-2017. Age: 62 - Son of Paul E. and Gertrude (Dorenkamper) Luce. Born in Jamestown NY, died in Groveport OH. Wed 42 years, two children. (She survives) - Post-Vietnam Vet, US Navy. 23 years. LUCE, Myra (Bentley). Spouse of Nathan. Born 5-18-1881, died 5-2-1945. Age: 63y 11m Given name is Alvira Lola. MONTGOMERY, Esther M (Henry). Spouse of Richard E, died 6-25-1981. Age: 44 - [His sister] ?? OSTRANDER, E. Leon. Spouse of Joyce M. (Wakefield) Miniger, died 8-13-1999 - Wed Joyce 11-2-1985. She is buried as Miniger, this cem. PARSONS, John A. Born 2-28-1948, died 11-25-2016. Age: 68 - Son of Frank and Mildred (Kinney) Parsons, Sr., born, lived, and died in Jamestown NY. Six children - Uncategorized Vet, US Navy. RIFFEL, Olga H. Spouse of Joseph D. Born 8-31-1920, died 10-14-1995. Age: 75 - Dau of Michael and Maria (Onuska) Hospodar, born in Newark NJ. SHELTERS, Mary Elizabeth S, died 2-22-1922. Age: 7y/m ? SHULTERS, George F, died 11-23-1912 - Civil War Vet, Co H 100th Inf NYS Vols. Discharged Dec. 1, 1862. SMITH, Nella M. Born 1888, died 19?? SQUAILIA, Kathryn B. Spouse of Pasqual A. Born 7-26-1918, died 1-29-2001. Age: 82 - Dau of George and Ellen Johnson Hansen. STAFFORD, Joseph D., died 12-11-1902 - Civil War Vet, Co A 112th Inf NYS Vols. Mustered out with company June 13, 1865. TAYLOR, Fayette, died 1881 - Civil War Vet, Co H 112th Inf NYS Vols. TAYLOR, Orlando J., died 5-3-1913 - Civil War Vet, Co C 9th Cav NYS Vols. Captured 10-18-1862 at Haymarket VA Returned to company and re-enlisted. Mustered out with company 7-17-1865. THOMAS, Grace E. Spouse of Roy C. Born 1914, died 19?? THOMPSON, John C. Spouse of Almina. Born 1847, died 11-6-1917 - Civil War Vet, Co C 57th PA Vols. THOMPSON, John C, died 6-19-1919 - Civil War Vet, Co C 9th Cav NYS Vols. Discharged July 17, 1865. TUCKER, William H, died 11-6-1917 - Civil War Vet, Discharged June 29, 1865. WAKEFIELD, Scott Wayne, died 11-11-1971. 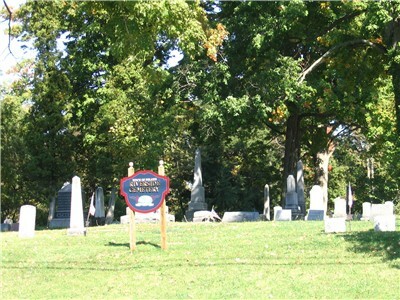 Age: 1 Day old - Lot owner: Richard Wakefield SR.
WHITE, Joseph L, died 11-24-1910 - Civil War Vet, Co C 9th Cav NYS Vols. Discharged Aug. 9, 1863. WILCOX, Daniel, died 6-6-1888 - Civil War Vet, Co C 16th Wisconsin Inf. DischargedJuly 10, 1864. WILLIAMS, E. C., died 1879 - Civil War Vet, Co C 9th Cav NYS Vols. Discharged June 1, 1865.